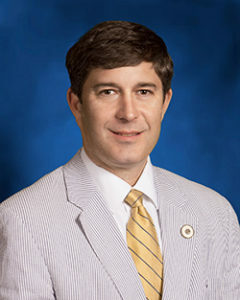 A bill sponsored by the chairman of the Louisiana House Insurance Committee would restrict an auto insurer’s ability to write an estimate completely off of photos to undisputed supplements alone. House Bill 437 also would require the customer to provide signed acknowledgement that they were receiving “non-OEM aftermarket crash parts” from an insurer. State Rep. Kirk Talbot, R-River Ridge, prefiled the bill March 29, and it was formally sent to his House Insurance Committee on Monday. The bill bans insurers from writing the first estimate based off of photos or phone calls alone and forbids them from demanding consumers submit photos too. A. (1) No appraiser shall secure or use repair estimates that have been 11 obtained by the use of photographs, telephone calls, or in any manner other than a personal inspection. (2)(a) An appraiser shall not require the submission of photographs or videos in order to obtain an appraisal. (b) An appraiser, or an insurer as part of the appraisal process, shall disclose to the owner of the vehicle that there is no requirement to submit photographs or videos in order to obtain an appraisal. If the insurer and body shop are both on the same page, however, photo estimating or a phone call is fine under the bill. “Supplemental repair estimates that become necessary after the repair work has been initiated due to discovery of additional damage to the motor vehicle may be made by personal inspection or by photographs, videos, or telephonic means, except that a personal inspection shall be required in the case of disputed repairs,” the bill states. The bill’s aftermarket parts disclosure provision would require the consumer to provide signed acknowledgement of the parts statement already demanded in statute. Essentially, the bill shifts the notification from passive to active. In theory, the consumer might be more likely to actually read the language rather than gloss over it since they’re signing off on it. The statute would appear to apply to aftermarket parts, not recycled ones, for RS 51:2422 also defines “non-OEM” parts as those made by or for someone other than the automaker. Be heard: Louisiana lawmaker contact information can be found here.